The didn’t say when the new film will be released in theaters. But they did give us a big hint as to the name of the sequel. 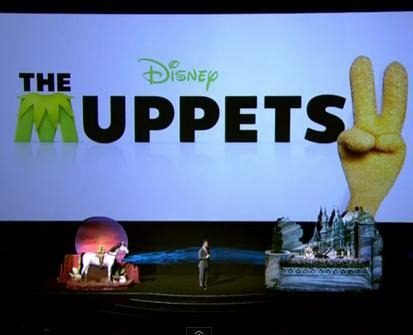 “The Muppets (insert two Muppet fingers here)” was displayed on the short intro video (which you can view below). The sequel will be directed by James Bobin, who directed the original Muppets movie. Bobin is also co-writing the script with Nicholas Stoller. Miss Piggy has requested to play the part of a diva with magical powers in the film (another hint of something to come? ).